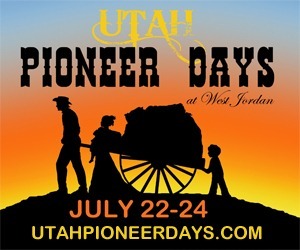 This wonderful celebration of the lives of the pioneers will span three whole days filled with pageants, concerts, games, Dutch oven cook-offs, fireworks and more! Don't miss out on the youth pageant that was written by Merrill Osmond. 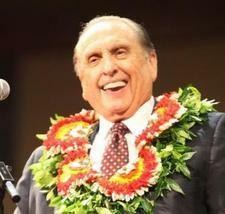 It's sure to features some wonderful, young talent and honor all the pioneers who helped settle the Salt Lake Valley. This event is also meant to raise hearing-health awareness and benefit local deaf children in the community with the gift of better hearing. Accompanying her mission president husband to Europe in 1936, Amy Brown Lyman, then serving as a counselor in the general Relief Society presidency, faced the challenge of adapting programs developed in the Mormon heartland to conditions in the international Church. Enjoy Mercy River as you've never seen them before--right up close, with a small audience, in the exclusive setting of Azevedo Studios! Tickets are $15 online; $20 at the door (if any tickets are left.) 7pm; doors open at 6:30pm.